Brake's campaigns director, Joshua Harris, said: "This is a landmark day for road safety. "These measures will provide the biggest leap forward for road safety this century." 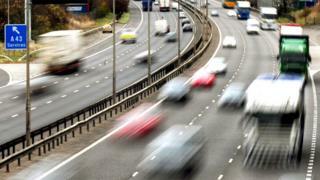 It said: "Motor insurers support measures aimed at improving road safety. Any steps that can be shown to make our roads safer, reducing road crashes and insurance claims, can be reflected in the cost of motor insurance." How do you stop deaths on London's roads?